I am currently sat on a northbound train pondering salads, as you do. I have come to the decision that the main problem with salad PR – aside from obnoxious people on diets – is lettuce. When you order a salad in a restaurant or from one of the infinite ‘healthy fast food’ places that lurk veganly around train stations and high streets it is, more often than not, a total let down.  The reason for this is usually that no matter how interesting the toppings of a salad sound, once you excavate down about a centimetre you hit a great thwacking wodge of lettuce that is almost always totally devoid of dressing, flavour and joy. The salad I just bought claims to be full of all manner of hummus, beetroot, sprouted something, miscellaneous fermented something else and a heftily predictable amount of avocado. In reality these are mere flotsam bobbing Instagrammably on top of a tangled sea of wirey frisée and great miserable slabs of radicchio. Hence why I’m sat here like a moody cow chewing the overpriced cud, pondering the lot of the salad and generally feeling grumpy at the world. It doesn’t have to be this way. Salads can be amazing. The fresh equivalent of a one pot wonder. The key to a great salad is variety, both in texture and flavour. You want crunch and yielding softness, creaminess and zing, sweetness and acidity. Every forkful should be interesting and packed with flavour. No Excuses. 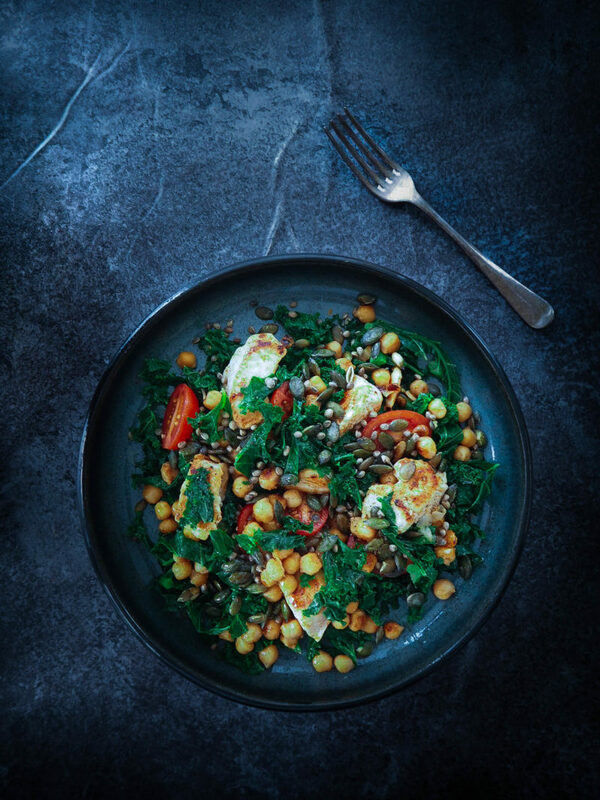 This recipe for a seeded kale and chickpea salad with ras el hanout spiced chicken is one of my favourites and is the antithesis of the lettuce-slab let-downs that have made me so heartily grumpy. Roasted chickpeas nestle together with rose petal flecked chicken, blanched kale, tomatoes and a generous scattering of toasted seeds – all crucially tossed together in a punchy and well seasoned white balsamic and avocado oil dressing. If chicken is not your thing then this salad is equally delicious without it or try subbing in roasted sweet potato, toasted nuts or whatever tickles your fancy – although I would maybe steer clear of the frisée, if I were you. Ras el hanout is a North African spice mix that contains a range of spices including cinnamon, black pepper, clove, grains of paradise and mace, plus a good amount of dried rose petals. It is available in most supermarkets, but feel free to have a go at making your own! This recipe makes a decent amount of dressing, use as much or as little as you like. Any left over will keep for a good few days in the fridge. If you don’t fancy avocado oil then a good extra virgin olive oil works perfectly here too. Bring a large pan of salted water to the boil. Blanch the kale in the water for a minute, drain and refresh (either by running cold water over it until it is no longer hot or by dunking it in a bowl of iced water). Give the kale a gentle squeeze to get rid of excess water. Heat the olive oil in a large frying pan and add the chicken. Fry over a high heat until just golden on all sides before adding the chickpeas to the pan. Once the chickpeas start to colour and the chicken is just cooked, turn down the heat and add the garlic, ras el hanout and a sprinkling of sea salt. Stir constantly over a low heat until the chicken and chickpeas are well coated in the spices and the garlic is fragrant (be careful not to burn it). Remove from the heat and set aside. 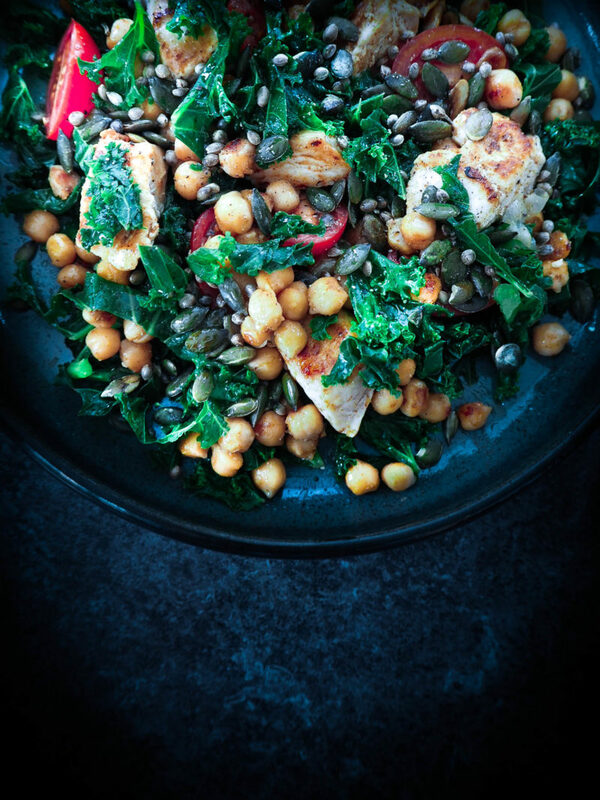 In a large bowl toss together the kale, tomatoes, chicken, chickpeas and seeds. Combine all the ingredients for the dressing in a bowl and whisk together. Pour over the salad and mix well. Add seasoning to taste.